Place the cursor inside the actual paragraph. 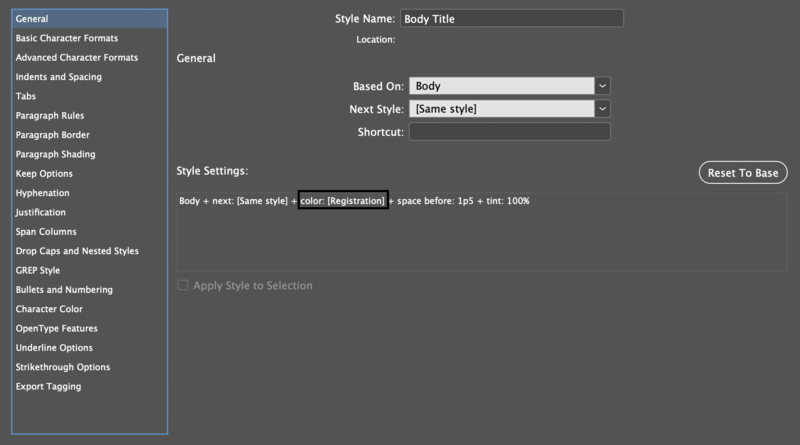 In the Paragraph Styles panel, right click the paragraph name and choose 'Apply & Clear Overrides'. Not the answer you're looking for? Browse other questions tagged adobe-indesign paragraph-styles formatting or ask your own question.